When my husband was out of town a few weeks ago, I asked one of my girlfriends to come over for a couple of drinks after my daughter was peacefully snoring in her crib, and before I knew it, we were lip-synching to the Grease soundtrack, painting each others nails, and ordering pizza. My only regrets were those extra 2 glasses of white I had and the fact that I didn’t think of looking up some great DIY face masks before our spur-of-the-moment slumber party. Because every slumber party should involve at least one face mask, right? The good news is that I got bored last night (why does my husband insist on watching poker on TV all the time, anyway?) and found 20 easy (and fun!) DIY face masks for busy moms over on Michelle Phan’s YouTube channel. And since I’m hopeful there will be more girls’ nights in for me (and you!) in the future, I couldn’t resist sharing them with all of you. Need a good, all-natural face mask for days (weeks?!) when you simply don’t have time to make your own? We love THE BEST Dead Sea Mud Mask. It does everything from fight pimples to hide wrinkles and cellulite, and it’s my go-to product when I’m too lazy to make my own! I especially love the lemon trick in this tutorial. 2. Anti-Acne Honey Cinnamon Mask! If you’re prone to breakouts like me, this mask is JUST what you need. The best part (for me anyway) is that I love the smell and it’s gentle enough that I can use it everyday! I’ve always known olive oil is a good natural moisturizer (and it doesn’t clog your pores! ), but I had no idea that mixing it with a bit of honey would be this good for my sensitive skin. Give it a try and see! Am I the only one who didn’t know that egg whites are good for treating oily skin, whitening the skin, and tightening the skin (which reduces the size of your pores), and that egg yolks are a good natural moisturizer? Check out this awesome tutorial to find out more! OMG, I cannot get over how EASY it is to make these, and I will NEVER waste my money on those expensive drug-store strips ever again! Did you know that aspirin is made out of salicylic acid? Neither did I! But you better believe I’ll be trying this aspirin mask the next time my skin breaks out! This mask, which is good for hydrating your face (especially when the weather is cold! ), made me fall in love with Michelle Phan all over again! I’m not sure I will ever be able to do this one, but if you suffer from large pores and oily skin, you have to at least give this one a watch! I’ve tried these before and they work wonders! Okay, this isn’t a face mask, but since I know I’m not the only person who loves coffee and suffers from cellulite, I couldn’t resist sharing this! 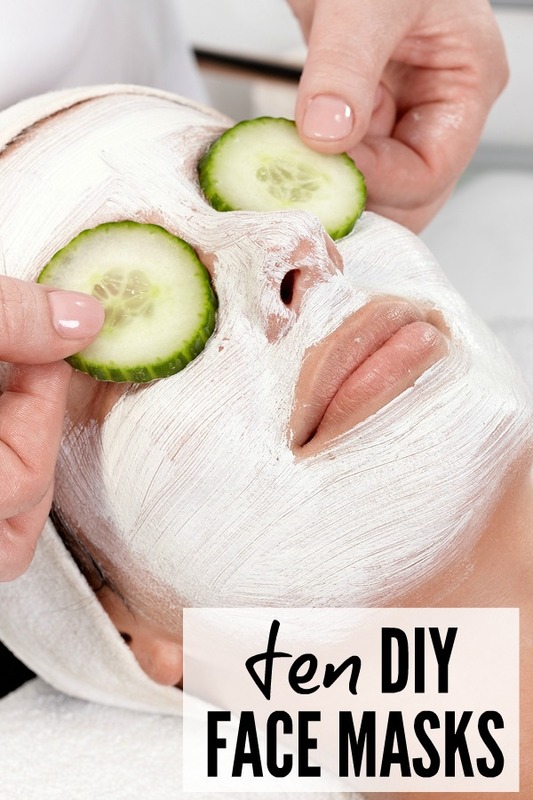 If you liked this collection of DIY face masks, please share it on Pinterest! And if you’re looking for more beauty-related tips and tricks, please follow our Beauty board where we share all kinds of great ideas!